This month I have quite a few non beauty related favourites to share with you! 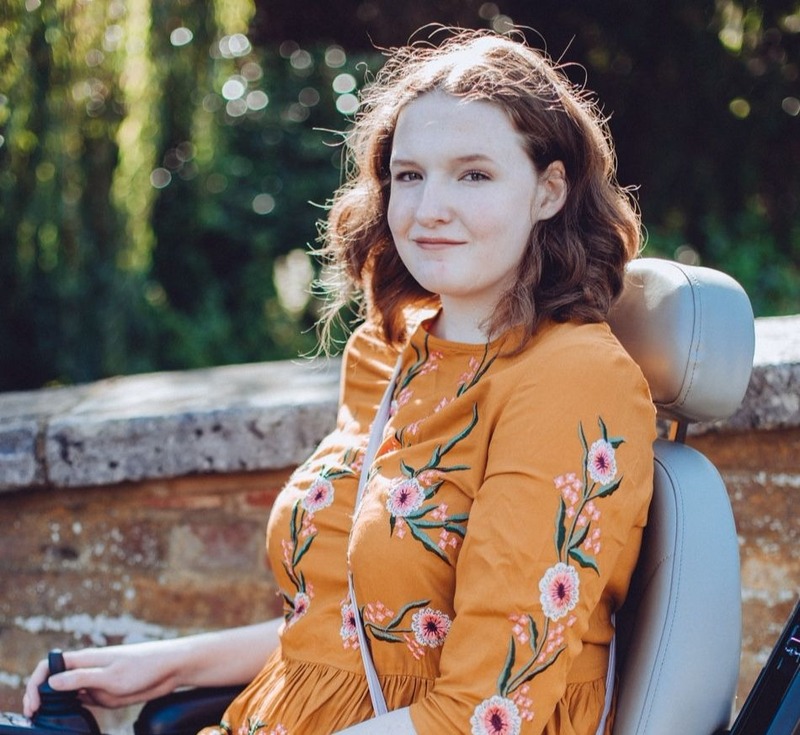 I've already talked about my beauty favourites on my blog this month, read here, so today it is all about my fashion, food and other life favourites. I've been watching lots of films this month and reading more so I've got some film and book favourites to share with you as well as some food and fashion favourites! During March I've been going back to all the bands I used to listen to a lot when I was about 13/14. 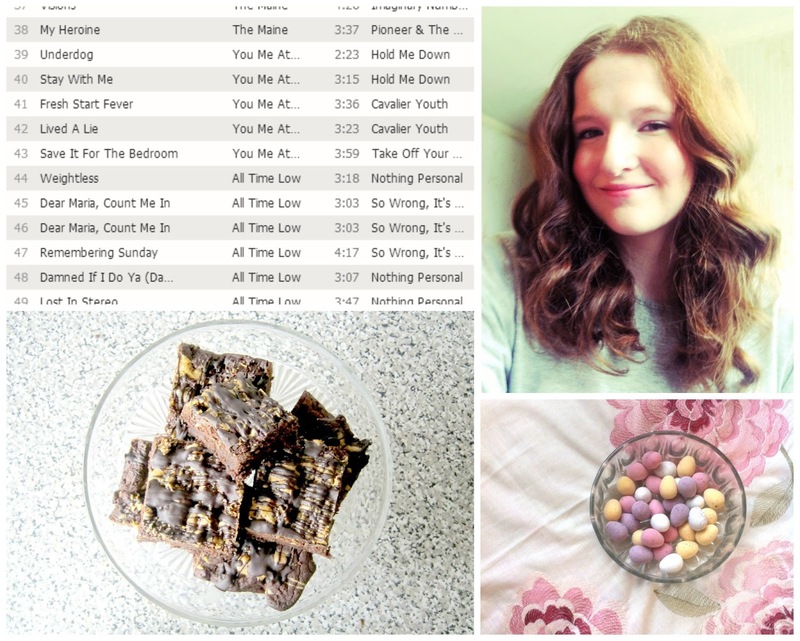 I've been enjoying listening to All Time Low and You Me At Six especially. I signed up to Spotify this month as well so I can listen to all my favourite bands all the time. I've also been listening to We The Kings a lot which are probably my favourite band right now! This month I've definitely had a sweet tooth, there are just so many chocolate Easter goodies around at the moment! Mini eggs are my new love, I can't get enough of them, they are SO nice. I also enjoyed the Peanut Butter Brownies I made, read my recipe post here, they are very tasty and I will definitely be making them again. I have loved that my hair has been behaving recently, maybe this should have gone in my beauty favourites but oh well! I've been really liking curling it recently and after hating my hair for a while I think I've finally found a style that suits me. I've been using my Yogi Hair Wand to create the curls in the above photo, read my review of it here. 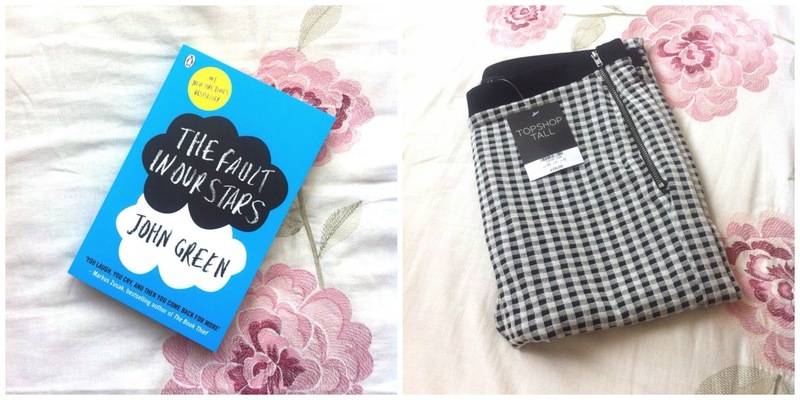 This month I bought and read 'The Fault in Our Stars' by John Green within the space of a few days. I had high hopes for this book and it really didn't disappoint. This really is a book that I think everyone should read, it is so incredibly well written and it will make you cry, A LOT. I've already ordered 'Looking for Alaska' by John Green, I think he is going to become one of my favourite authors. Also please recommend me some books below that you have been loving! I've been watching lots of films this month and 2 have stood out to me, they are both very different. Firstly me and Mum watched The Great Gatsby, I didn't know much about the film or what to expect but we both ended up really enjoying it. I didn't think I'd enjoy it as much as I did, we just thought it would be nice to pop on, I would really recommend it to everyone though. I also finally watched Monsters University the other day and it exceeded all my expectations. I really enjoyed watching the characters as they started from the bottom to get where they are in the first film. Again I'd really recommend it! Finally, fashion wise I've been living in my Topshop Gingham Treggings this month. The only time I haven't been wearing them is when they are in the wash. They are very comfy, like leggings, but thicker and warmer. I really like the gingham pattern as well and I've been pairing them with thick jumpers and boots whilst it is still chilly outside. I've done one OOTD featuring them so far, take a look at it here! I hope March was a good month for you all! Recommend me some books in the comments! Ooo think carefully before reading Looking For Alaska. It is just as heartbreaking as The Fault In Our Stars. I still don't think I'm emotionally stable enough to read another one of his books after finishing those two haha but they are brilliant! :) One of my favourite books of all time is Sundays At Tiffany's by James Patterson and Cate Tiernan. It's wonderful I highly recommend it!